STATE COLLEGE -- Penn State will meet Louisiana State of the Southeastern Conference in the Capital One Bowl on Jan. 1 at Florida Citrus Bowl Stadium. This is a game that kicks off at 1 p.m. on New Year’s Day and will be televised by ABC. This was not the game Penn State was hoping to play. They were campaigning to play in the Fiesta Bowl (which decided on 12-0 TCU vs. 13-0 Boise State instead) or the Orange Bowl (they selected 10-2 Iowa vs. ACC champion Georgia Tech, 11-2). This was the game some say Big Ten Commissioner Jim Delaney wanted Penn State to play, having lobbied the BCS coalition to pick Iowa, a head-to-head winner against PSU on Sept. 26. This is not a BCS game, but features two national powers, from the past and in the present. 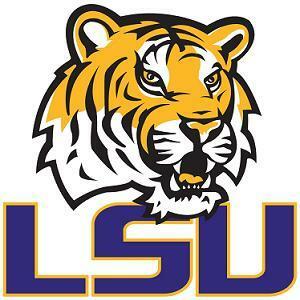 LSU is 12th in the final BCS standings, 9-3 overall and seeking its sixth double-digit win season in a decade. Penn State is 13th in the final BCS standings, 10-2 overall, tied for second in the Big Ten standings and has its first back-to-back 10-win seasons since 1993-94. This is not the game they call the Citrus Bowl. But it used to be. From 1983-2002 it was known as the Citrus Bowl, and from 1947-1982 it was known as the Tangerine Bowl. Credit card giant (“What’s in your wallet?") Capital One has been the sponsor since 2001 and the sole titleholder since 2003. This will be the game that features two of the winningest programs in college football over the past five years. LSU, 9-3 in 2009, has a record of 51-14 over the past half-decade, including four bowl victories and a 12-2 record in 2007, when it won the national championship. Penn State is 50-13 and has a 3-1 bowl record heading into its fifth bowl in as many seasons. This is not the game in which Joe Paterno will set the all-time record in bowl victories. He already holds it. The Penn State coach has a postseason record of 23-11-1 (.671), including a 16-7 mark in New Year’s bowl games. He is the all-time leader in bowl wins and appearances (35). This is the game Joe Paterno’s family wanted to go to. “I have 17 grandkids and the oldest is 14,” said Paterno, who turns 83 on Dec. 21. “They all wanted to go back to Orlando." This is not the game at which Paterno and LSU coach Les Miles were supposed to first meet as opposing head coaches. Miles was considered a frontrunner to replace Lloyd Carr as Michigan’s head coach immediately after the 2007 regular season. But Miles’ LSU squad beat Tennessee in the SEC Championship Game to earn a berth in the national title game, while West Virginia and its coach, Rich Rodriquez, lost its game against Pitt and its shot at the championship game. Rodriguez was available, Miles was not. Rich Rod was hired, and therefore was on the sidelines for Michigan when it came from ahead to lose to the Nittany Lions 46-17 on Oct. 18, 2008, in Beaver Stadium. And Miles was not. This is the game for which Paterno will sign the “official contract” at the sponsoring Florida Citrus Sports’ luncheon on Thursday at the Varsity Club in Florida Citrus Stadium. This is not the game for which Paterno will be in New York on Tuesday, but the trip does have an LSU connection. The Penn State coach will be attending the annual National Football Foundation dinner at the Waldorf-Astoria – where he will see Curt Warner, the Nittany Lions' all-time leading rusher, be inducted into the College Football Hall of Fame. This is a game that has been played only once before. Sixth-ranked Penn State defeated No. 16 LSU 16-9 in the Orange Bowl on Jan. 1, 1974. Nittany Lion Chuck Herd made a brilliant one-hand catch of a Tom Shuman pass on the LSU 20 and ran it in for a 72-yard touchdown. This is a not a bowl where Penn State has a winning record. In the Citrus, Penn State lost 35-10 to No. 14 Clemson in 1987, beat No. 6 Tennessee 31-13 in 1993 and lost to No. 6 Florida 21-6 in 1997. In the Jan. 1, 2003, Capital One Bowl, Penn State lost 13-9 to No. 19 Auburn. This is a battle-tested LSU squad; the Tigers were 5-3 in the SEC (second in the SEC West, behind BCS title game-bound Alabama) and among their defeats were a home 13-3 loss to Florida, ranked No. 1 at the time, and a 24-15 loss at Alabama, ranked No. 3 at the time. Read how the decision was made here. 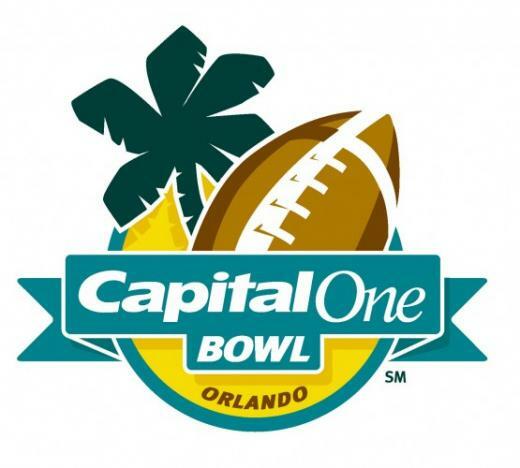 The Nittany Lions and Tigers are set to tangle in the 64th renewal of the Capital One Bowl.